Images and photos have always been a vital part of visual communication, so ensuring that your website makes the most out of the images you pick is a must. Which is why 51 percent of B2B marketers prioritize creating visual assets as part of their content strategy. Make sure the images you pick are high quality. Images with large pixels and a high-resolution work best. Regarding their size, think about how your website is going to look on both a desktop and a mobile device. 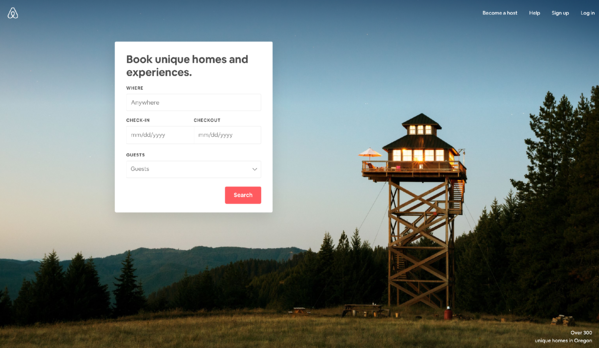 One of my favorite examples is the homepage of Airbnb. While the booking form is still the focus of the page, the eye of the user can’t help but be drawn to the high-quality and visually appealing background image. No matter what your company is selling, or the purpose of your website, the images you pick have to be relevant to your brand and its goal. 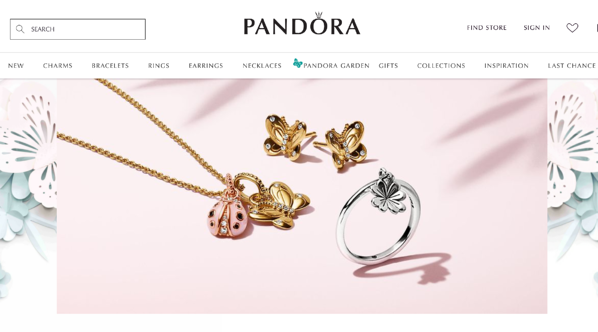 For instance, if your brand is selling jewelry, like Pandora, product images on your website need to be both visually appealing and enticing to the customer. Want a customer or website visitor to do something specific? Make an image double as a call-to-action. Brands in the food industry often do this well. For instance, Starbucks, whose menu is always changing and evolving, makes it easy for you to decide which espresso you should order the next time you need an extra dose of caffeine. My mouth waters just looking at these options. Both, please. Hook your site visitors with an engaging image. Instead of loading your website with tons of text, go with an image that gets the point across. Even if the text is a good read, not all of your customers are going to take the time to read it, or even care. The homepage for allbirds gets the message across that their products are natural, without immediately going into depth about the materials and the brand story. Choosing an image that includes people is a great way to potentially boost the conversion ratio of your website. This is where, if you can, you should avoid stock photos, and use real people. You don’t want the image you choose to be on hundreds of other websites out there, and that may be the case if you go the stock photo route. 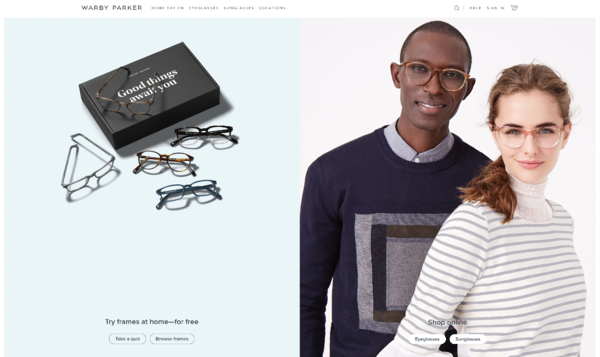 Warby Parker not only showcases two people on their homepage, but they give their customers an idea of what their glasses will look like on actual people, instead of just showing them as stand-alone products. Related: Check out the many types of graphic design you can use for your website. No matter if you have a blog, online store, or just a regular website you’re looking to enhance with top-notch images, it’s well worth your time to optimize each and every image you upload. First, make sure the images look good, which we discussed above. Then, you need to make sure they can be easily indexed by search engines by ensuring you name the image file correctly. 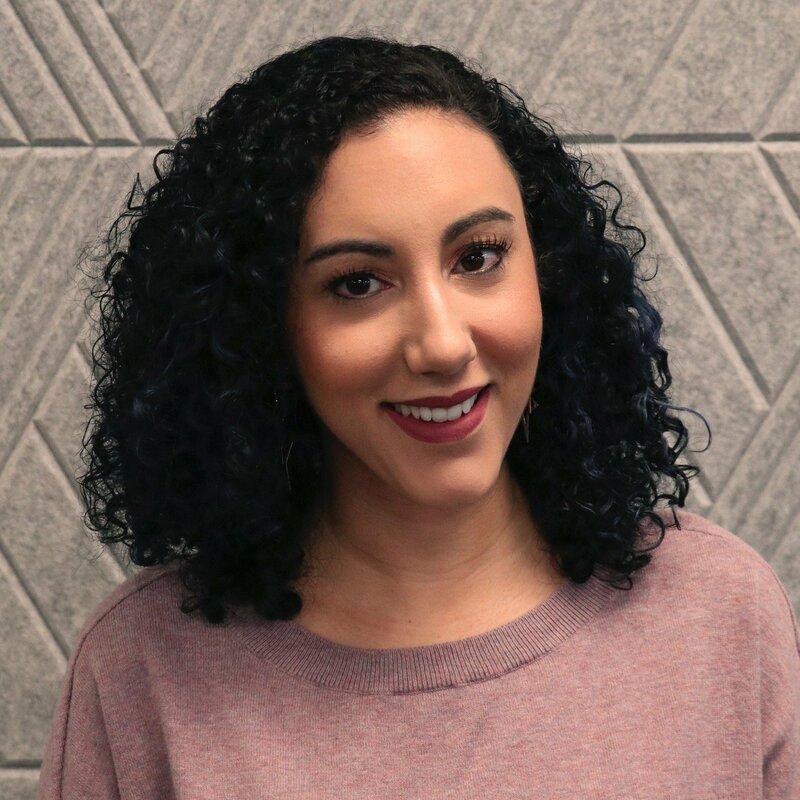 Have you ever saved an image as “Photo1.jpg” or “Screen Shot 2019-03-18 at 4.13.42 pm?” This is a big no-no when it comes to the images on your website. When naming, be consistent and don’t use punctuation or spaces. It’s also best to use hyphens in the name rather than an underscore. Once the image file name is formatted correctly, don’t forget about the alt text, which also adds SEO value. Alt text is a short, typically 100-character description of what the image is showing. While this text won’t be visible to site visitors, it gives search engines an idea of what the image is about. This text will also help visually impaired visitors navigate your site with audio-based software. Unsure which type of image file you should use? Let’s break them down. JPGs: This type of file should be used for photographs, as they can handle the colors in a small and efficient file size. When used, you won’t need to worry about having a humongous file, which will help with the loading time of this image. PNGs: This type of file should be used for graphics, especially using large or flat areas of color. This includes most designs, infographics, images that are text-heavy, and logos. PNGs also support transparent background (which you’ll want to use for a logo). If you can, save your PNG as a “24-bit” format for better quality and a richer display of color. The right image on your website is like the icing on the cake. It truly brings everything together, and hopefully, if you’ve chosen the right kind of picture, ensures that your website is pleasing to the visitor in a way that makes them come back for more. Interested in giving your website some even more personality? Check out these tips for how to use video on websites and how to choose the best typography for your website!